I've worked in the wine business for 30 years now, ye Gods, and sometimes I overthink wine. There's no risk of that with Moscato d'Asti; a good Moscato is pure pleasure, the exuberant Muscat aromas and flavors balanced by bubbles and a hint of citrus. Romano Dogliotti is the owner of La Caudrina, and he was one of the first small growers to bottle his own wine, many years ago. 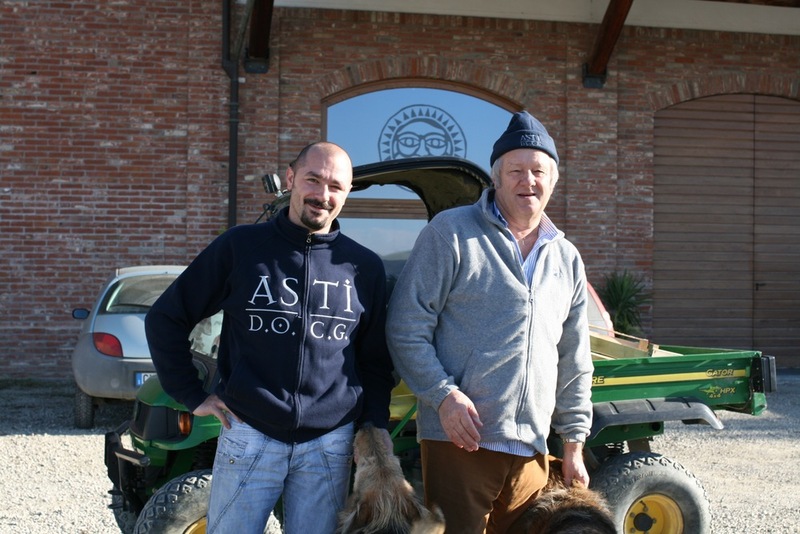 Now he and his sons produce one of the very best examples of Moscato d'Asti, and they also make the only artisanal Asti Spumante (more on that below). The creation of such a simple pleasure is in fact pretty technical winemaking. La Caudrina Moscato d'Asti is made by putting the juice of their normally ripe Moscato grapes in a special reinforced fermentation vessel, called an 'autoclave,' with yeast; the must ferments at low temperature until about half the natural sugar in it is consumed, then the wine is quickly filtered tostop the fermentation. This means that Moscato has only 5.5% alcohol by volume, and enough residual sweetness to remindyou of a very ripe peach (but not nearly as much as you find in other classic dessert wines such as Sauternes). All of the carbon dioxide from the fermentation is absorbed into the wine, making it naturally bubbly ('frizzante,' or half-sparkling). This bubbly sweetness makes it the perfect accompaniment to a number of fruit desserts, as well as the classic Torta di Nocciole (hazelnut cake, a very typical dessert in Piedmont). It is also an excellent cold glass of wine on a hot summer afternoon. La Selvatica is the Dogliotti family's Asti Spumante, made from a single vineyard near their winery. Asti is made very similarly to Moscato, but the fermentation is taken further, so the finished wine differs from Moscato d'Asti in that the alcohol is slightly higher (7%), the residual sweetness is lower, and there are more bubbles (since more sugar is consumed). Some people drink this as an off-dry aperitif; I love it with cookies or by itself after dinner. (Both of these wines are excellent with Thanksgiving desserts; they go very well with pumpkin pie and fruit pies, and the lower alcohol and sugar is welcome.) Dangerously addictive, you have been warned.